56 | High Art! And a Monkey! Your hosts delve into the higher forms of culture today, starting out with a discussion of acting in games and how that impacts the design process. Then get out your berets and turtlenecks and get ready to snap your fingers, smoke clove cigarettes, and get hit on by a guy named Carnival Moon, because it's Mildly Alarming Poetry Corner time. Plus a note on conservation, and a very real message from a very real astronaut. Sometimes games require you to act like a thing that you are not. Sometimes this is charades-style, sometimes it is D&D style. “Must be Snoop Dogg,” did I mutter, “rapping at my chamber door. After landing fall-down drunk upon a barroom’s sticky floor. Twenty bucks to ease my sorrow—sorrow at my podcast chore. To which I’m chain-ed evermore. “Doofus,” called I, “get your lazy carcass off the floor. But most likely you were napping, napping on your chamber floor. I can see you through the window, lying there upon the floor. A moron there, and nothing more." Work ethic into my co-host, who rose, shaking, from the floor. And the only words he’d spoken had been muffled by the door. Something about Snoop Dogg, likely, muffled by his chamber door. Likely that, and nothing more. Soon I heard him tapping, louder than I tapped before. Out through the window stepped I, like a burglar of yore. Sprinting like a sumbitch aimed directly at his truck’s front door. Of ‘exciting,’ ‘thrilling,' ‘able’—from the list pick one or more. Look down a list of good descriptors and, from it, pick one or more. That’s what he’s after, the dumb whore. Though his mock’ry fails to cut the issue to its core. Parody’s the thing, I’m choosin’ it, as I labor at this chore. The fun of parodying poems sets me working at this chore. Who didn’t know you had that motive, it and likely several more? Several stanzas deeply cluttered with phrasing that’s a dreary chore. Phrasing hard to say aloud—you gave me this insipid chore. Delib'rate, say I, that and more! Duder, say I, we should punch this up a good deal more. We gots to take especial careody—your assistance I implore. With the next turn of this po-em, your assistance I implore. Come inside, and shut the door. And the predilections he indulges on the shore. And hears the sound of sea-shells clinking on the cabin floor. The sound of sea-shells clink-clink-clinking on the tilted cabin floor. List’ners, this, would never bore. Then the shark our podcast hurtles, and the readers it will bore. We’ll leap a shark if we talk turtle, and the readers it will bore. And they’ll read us nevermore. And, these stanzas, stow-em in a package we can store? And I’m unsure we will be able to come up with something more. And will the listeners listen if we give them nothing more? It may be that of content we’re unlikely to find more. by impending failure taunted—shall we, then, press on no more? 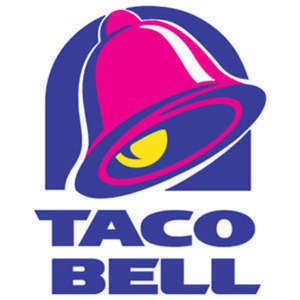 Is there beef at Taco Bell—tell me truly, I implore? You can’t use a dirt-cheap taco to evade your podcast chore. An excess, an extravaganza—just complete it, I implore. There can’t be many stanzas left—tell how many, I implore. Tell me, now, how many more? Two more stanzas left to send up ere we start meal number four. Lest they take to acting crazy—complete, we must, this awful chore. Let us have mercy on the readers and complete this awful chore. Or they will read us nevermore. And thru’ tortured language wendeth, so that meter up we shore. With food that tastes a little tinnish from the Taco Bell next door. We’ll feast on deeply healthless foodstuffs from the Taco Bell next door. And do this segment… nevermore.